My flight boards in 20 minutes, and then I'm off to the Mexico's Puerto Escondido, known for its world-class surfing, and Oaxaca City, one of the birthplaces of chocolate. Some may question the decision to book a vacation to Mexico right now, with the recent death of an American in a Mexican beach town, December 20th's Baja murders, and the two major earthquakes that hit the Oaxaca region in 2017. Is Mexico safe? Is it okay to book a vacation in Mexico? These were the exact same questions being asked when I visited Oaxaca for the first time in 2004. I visited Mexico with a friend, and fortunately, she had extended family in Mexico and, therefore, the inside scoop. 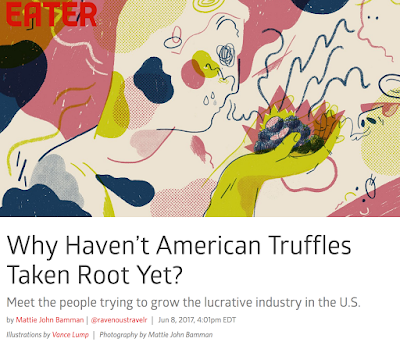 Now, having traveled the world as a professional culinary travel writer for more than a decade, I get it. It's a matter of traveling smart. Many of the world's most rewarding travel destinations have bad reputations, but visiting Puerto Escondido and Oaxaca for the first time changed my life for the better forever. I spent three weeks eating delicious food, hanging out with cool people, swimming, and touring magnificent ruins. I only spent around $1000 (flight included) thanks to the low prices. A vacation costs about the same today. Here's how I do it: First, I'm a life-long backpacker, which means I don't give the appearance of affluence when I travel, protecting me from muggings and pick pockets. I extensively research a destination before I go, making sure to avoid dangerous neighborhoods and to follow local customs. And I never travel with a lot of money on me, so if I am robbed (which is unlikely), I will be able to quickly recover. Puerto Escondido and Oaxaca blew my mind in 2004. After writing 3-6 articles a day as the editor of Eater PDX for the past 2.5 years, I'm ready to hit the road again. Sunscreen packed. Backpack loaded. Cat taken care of. Follow along here on Ravenous Traveler, as well as via my Twitter, Instagram, and Facebook pages, as my wife and I travel through Southern Mexico. Like I said, my parents have surreal stories about trying to find work in rural Downeast Maine. 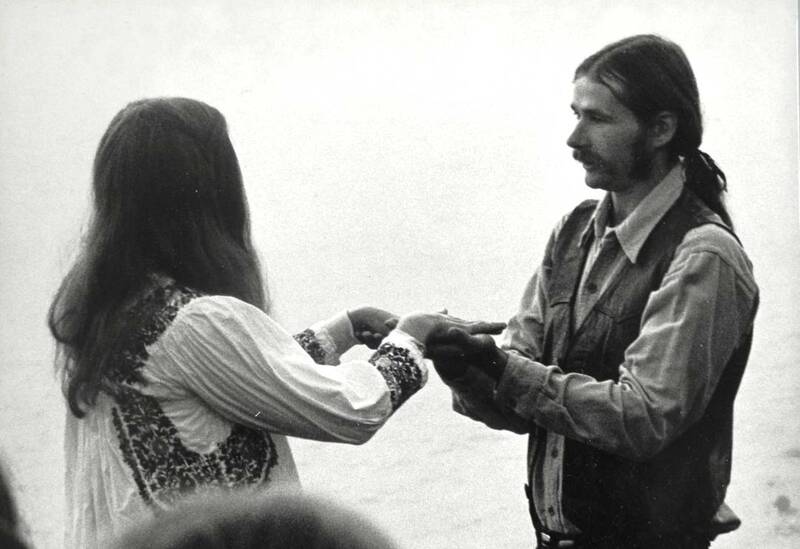 My mom tried netting elvers, which fetched around .20 cents a pound or something (those little translucent baby eels have gone gangbusters in recent years). And she harvested Maine's famous, low-bush blueberries — a back-breaking task, as I would find out when I did it growing up; in fact, when I raked blueberries 20 years later, I was paid $2.30 for a 33-pound box of blueberries — the same as the crew leaders gave my mom. A single pint weighing 12 ounces at the grocer could run $3. My dad did carpentry, repaired boats at the local sardine cannery before it closed, and dug for clams. But he's particularly remembered for building a 65-foot schooner called the Janet May in 1984. 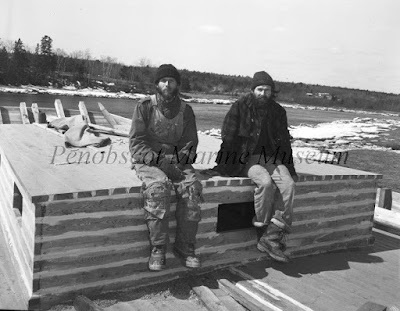 Steve Pagels hired my dad and Phil Shelton, and the two of them built the sailboat out of the barn on our property. To keep costs low, they'd chop down trees, drag them from the woods with teams of horses, plane them into boards, and then build the boat. The launch was a nail-biter, with everyone questioning whether the schooner would squeeze through a narrow drawbridge near town (launched in the Narraguagus River, the boat had to pass through the drawbridge at the mouth of the river to reach the bay). When it made it through with just inches to spare, it was a success celebrated by the whole town, and the Janet May appeared on the welcome sign to Milbridge until around 2010. After sailing around New England, the coastal schooner, now christened Bailey Louise Todd, still takes travelers on tours off Bar Harbor. A photo from the Penobscot Marine Museum of Phil (left) and my dad sitting on the partially completed Janet May. Looks cold. Born in 1982 to these flower children, I had a pretty great early childhood. By the time I was two or three, my parents had added plumbing and electricity to our home, and I was raised vegetarian, which was okay, aside from eating many-years-old frozen gray peas and other terrible things in the dead of February (at least, we'd grown them ourselves). Vegetarianism didn't last forever, and I rebelled as a teenager by eating a little meat (cold peanut butter and jelly sandwiches were no match for warm, school-lunch pizza — the strange red disks on top be damned). And despite the region's desolate landscape, the back-to-the-land community was strong, and I regularly had friends to hang out with, including Ted and Mary Claire's son, Mason, who lived right across the street, and my good friends, the Checkers, who lived just up the road. But there was much more, because of the semi-communal lifestyle: Sunday barn raisings, potlucks, and days at the lake (often surrounded by skinny dipping adults). Not to mention the gobs of the untamed wilderness for endless, DIY adventures by myself. 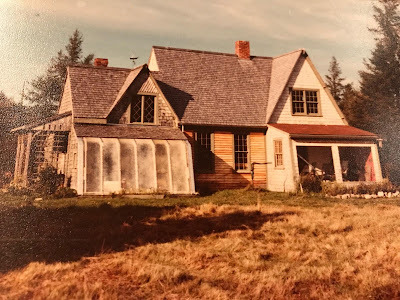 Today I write about food and travel around the world, but I grew up in the back to the land movement of the 1980s — a lifestyle similar to living off the grid — in the isolated town of Milbridge on the Maine coast. As the story goes, my parents were living in a barn in Upstate New York when my mom got sick of the snakes. They loaded everything they owned into a 1959 Volkswagen bus and drove east without a specific destination. 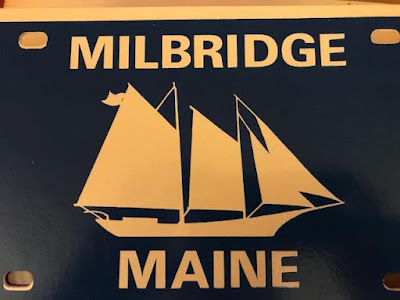 When they ran out of bread in Milbridge, a lobstering community of 1000, and saw the Turnstone Bakery advertising "whole wheat" bread, they knew they were in the right place. Mom and dad hit it off with the bakery owners, who introduced them to Rory and Timmi, who my parents lived with in a dome for the winter of 1975 (by chance, I'd randomly meet Timmi and Rory for the first time decades later, 400 feet underground in a Polish salt mine). 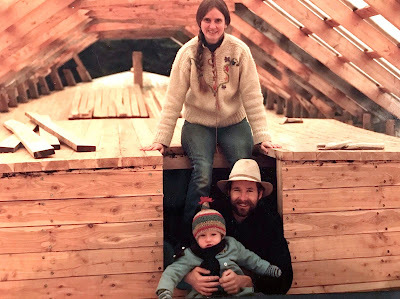 The Turnstone Bakery was a meeting place for a larger community of back to the landers in Downeast Maine — many inspired by homesteading legends, Scott and Helen Nearing. For a period, my mom and a friend took over the bakery, with lots of stories of pizza parties and waking up waaaay too early. My parents getting married at sunrise on the rocks at McClellan Park, Milbridge. 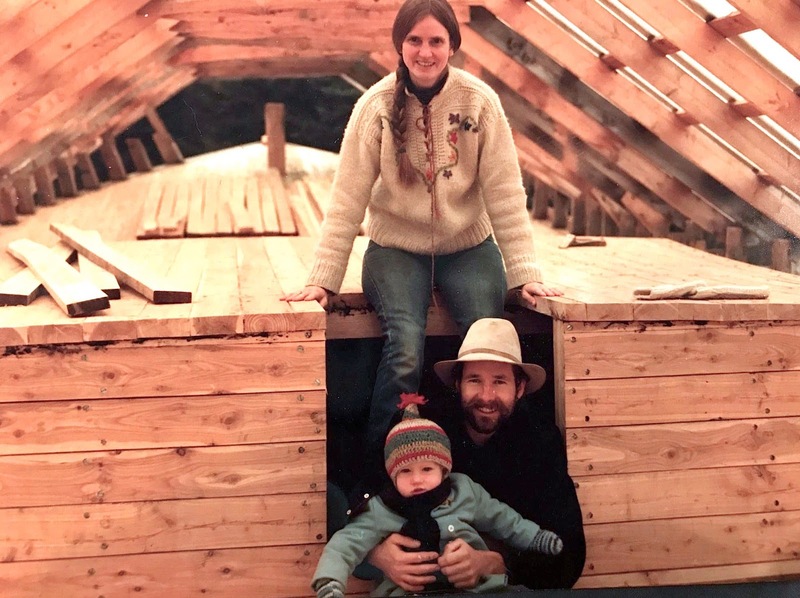 Wanting to be self-sufficient, my parents and another couple, Ted and Mary Claire, purchased 100 acres of land at $100/acre in 1976, and split it among themselves. While Ted and Mary Claire moved into a house already built on the portion of the property they owned, my parents built a tiny two-story house/shack (sorry, dad) on their parcel. They had a well dug and used an outdoor pump for water, and a wood stove was the only heat during the long eight-month winters. They were vegetarian and planted large gardens, which supplied most of their food, as well as kept chickens for eggs. And naturally, since they didn't have running water, they had an outhouse (I'll never forget taking the long, shoveled-out path from the house to the outhouse in the dead of winter — or am I just remembering a terrible thought from childhood?). Here's a picture of the Milbridge house around 1990, after my dad had built several additions. That first section on the left was what my parents were living in in the '70s. It's true. I'm leaving my post as editor of Eater PDX after 2.5 years. It was one of the most rewarding, humbling, and challenging positions of my life, and that's exactly what it should be: I believe Eater is publishing some of the best food journalism out there and is truly leading the industry into the future. Point blank: Eater repeatedly stuns me with its no-BS approach to accurate food news and storytelling. In the position, I was in charge of running the day-to-day operations of Eater Portland, from working with some of Portland's most talented freelancer writers and photographers to building lasting relationships with Portland's many talented chefs. It was my goal to give a voice to Portland's epic food scene during a period of immense change in the publication industry, when traditional news publications were fighting to keep their influence and anyone with a computer could start a blog or social media feed. At the end of the day, it always came down to meeting and listening to people and telling their stories with an eye for what connects us. For me, that's the most potent dishes and exciting restaurant atmospheres worthy of pushing technology aside to spend some time with Portland's vibrant, intimate communities. I am really proud that I wrote my 1000th article for Eater PDX on March 8, 2017, and I will keep on writing until my final day, December 29, 2017. I am also humbled by the many, many stories left to tell. If you're the right person to tell Portland's food stories — and hopefully, many of the stories I missed — the position is currently open. 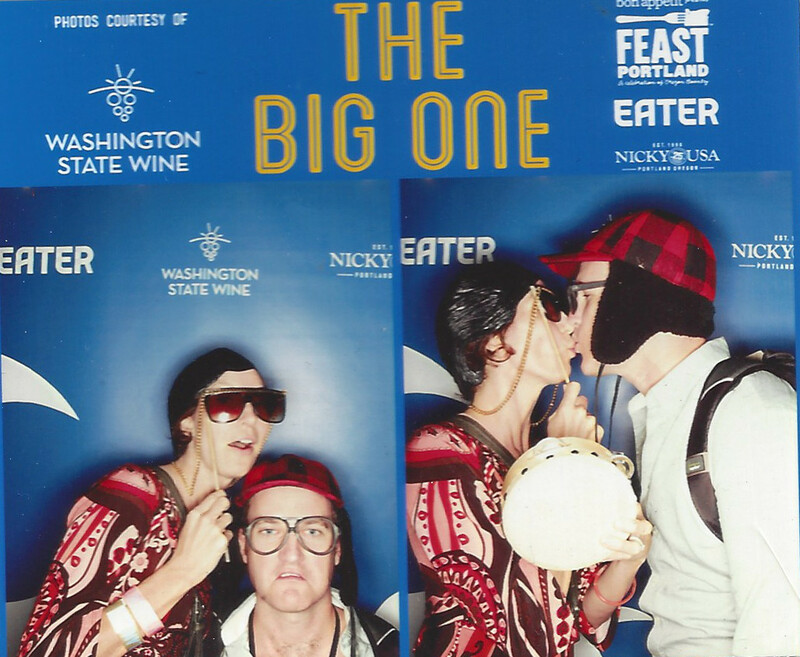 To all my Eater colleagues, you have verged on becoming family. A big shoutout to my manager, Carolyn, for the training and support. Immediately, I'll continue to publish culinary travel writing with a focus on Portland, the Pacific Northwest, and Europe (especially Italy) through my personal brand, Ravenous Traveler (Twitter and Instagram), including a book with the most insane stories from being a full-time culinary travel writer for the past 10 years. Lastly, I'll continue my work as a board member of the Travel & Words Conference, dedicated to travel writing in the Pacific Northwest. Hope to see you in 2018.